Oh the thinks you can think, ​when you think of the fair! 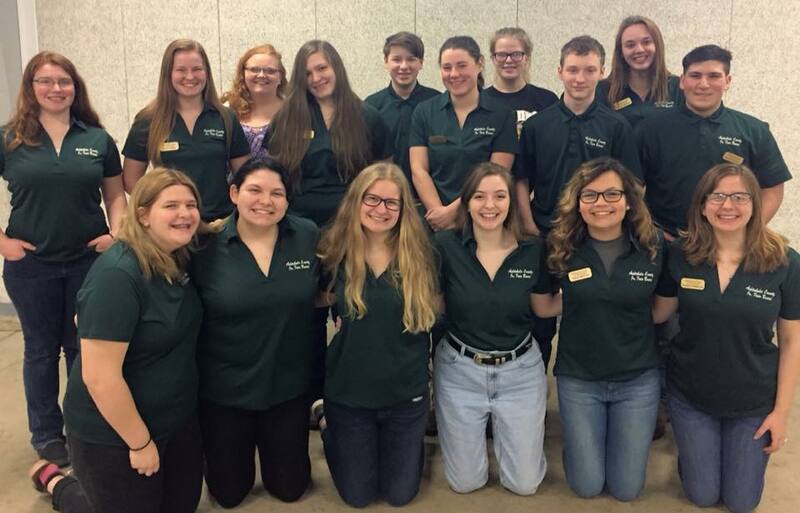 The Junior Fair Board is organized with representation from Junior Fair youth group participants, including 4-H, FFA, Grange, Boy Scouts and Girl Scouts, and is responsible for planning, conducting and evaluating various activities of the Junior Fair. The Junior Fair Board is accountable to the Senior Fair Board. The Junior Fair Board may have advisors representing the various youth groups participating. Perspective members must be 15 by December 31 to apply for membership. Applications are available during the fair at the Junior Fair office in the MAC Arena or from the OSU Extension office at other times. Applications are due September 1st. The county fair is a week filled with many activities and judging events. In order to receive a fair pass, members MUST EXHIBIT their projects in some way. Members can exhibit their projects through livestock judging events, club display booths, and the clothing style revue. The fair is the biggest display of Ashtabula County 4-H of the year and provides a lot of fun events and a chance to meet many new people. It is an excellent opportunity to show the general public what 4-H is all about. Attendance or exhibiting at the fair is not required for a member to complete a 4-H project; it is only required in order to receive a fair pass. The Senior Fair board graciously provides fair passes to members and advisors. Junior Fair Members participating in the Fair will receive one pass. 4-H Clubs will be given passes for their advisors based on their club membership. Wristbands will be distributed to Jr. Fair Club Advisors on Sunday, Aug. 5, 1-4 pm and Monday, Aug. 6, 9 am - noon at the Expo Building.